Mickey, Donald, Goofy, Minnie, Winnie, Pluto, Scrooge, Daisy, Pinnochio, and more. 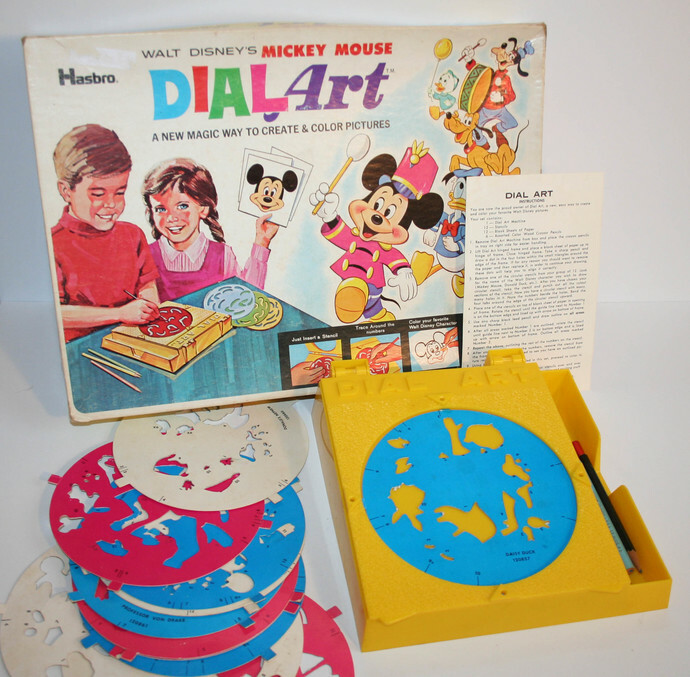 Dial Art holder is in good vintage condition. Cardstock dial shapes are in good condition. Color pencils are original and vary in size from 4.25" - 6". Sheets of paper are not included (any paper will work with this kit). Box is intact though shows wear.